Evidence of the rise of Mahayana Buddhism in Bengal from the 7th century onwards, Somapura Mahavira, or the Great Monastery, was a renowned intellectual centre until the 12th century. Its layout perfectly adapted to its religious function, this monastery-city represents a unique artistic achievement. With its simple, harmonious lines and its profusion of carved decoration, it influenced Buddhist architecture as far away as Cambodia. Témoin de l’essor du bouddhisme du Mahayana au Bengale à partir du VIIe siècle, cet ensemble, connu sous le nom de Somapura Mahvira, le « grand monastère », a été un centre intellectuel de renom jusqu’au XIIe siècle. Par son plan parfaitement adapté à sa fonction religieuse, cette ville-monastère représente une réalisation artistique unique qui a influencé l’architecture bouddhique jusqu’au Cambodge, par la simplicité et l’harmonie de ses lignes et le foisonnement de son décor sculpté. إن هذه المجموعة المعروفة باسم سومابورا ماهفيرا أو "الدير الكبير" هي شاهد على الانطلاقة البوذية في ماياهانا في البنغال إبتداء من القرن السابع. وقد كانت مركزاً فكرياً ذائع الصيت حتى القرن الثاني عشر. تمثّل المدينة- المسجد، بفضل مخططها المكيّف لوظيفته الدينية، إنجازاً فنياً فريداً أثّر على الهندسة المعمارية البوذية حتى كامبوديا من خلال بساطة خطوطه وانسجامها وتكاثر التزيينات المنحوتة. Сомапура Махавира, или Великий монастырь, ставший свидетелем становления с VII века буддийского учения махаяны в Бенгалии, был прославленным интеллектуальным центром вплоть до XII в. Его планировка прекрасно соответствует религиозной функции, и сам монастырь-город представляет собой уникальное художественное достижение. Своими простыми и гармоничными линиями и обильным резным декором он оказал влияние на буддийскую архитектуру всего региона вплоть до Камбоджи. Este sitio religioso, conocido por el nombre de Somapura Mahavira (“gran monasterio”), es testigo del auge que cobró el budismo mahayana en Bengala desde el siglo VII y fue un afamado centro intelectual hasta el siglo XII. El trazado de esta ciudad-monasterio, perfectamente adaptado a su función religiosa, constituye un logro artístico excepcional. Sus líneas simples y armoniosas, así como sus profusas ornamentaciones esculpidas, influyeron en la arquitectura budista, incluso en países tan lejanos como Camboya. Paharpur is een klein dorpje waar de resten zijn opgegraven van het belangrijkste en meest bekende klooster ten zuiden van de Himalaya. Het klooster Paharpur Vihara - ook bekend als Somapura Mahavira - was een gerenommeerd intellectueel centrum tot aan de 12e eeuw en het bewijs van de opkomst van het mahayana boeddhisme in de Bengalen vanaf de 7e eeuw. Het ontwerp van het klooster is perfect aangepast aan de religieuze functie ervan, waardoor de kloosterstad een unieke artistieke prestatie vormt. De eenvoudige, harmonieuze lijnen en de overvloed van uitgesneden decoraties hebben de boeddhistische architectuur beïnvloed, zelfs tot in Cambodja. Geographically located to the north-west of Bangladesh in the district of Naogaon, the heart-land of ancient “Varendra”, close to the village of Paharpur the extensive ruins of the Buddhist monastic complex are the most spectacular and important pre-Islamic monument in Bangladesh. The first builder of the monastery was Dharmapala Vikramshila (770-810AD), the king of Varendri-Magadha, as inscribed on a clay seal discovered in the monastery compound. The plan of the monastery can be described as a large square quadrangle measuring approximately 920 feet, with the main entrance, an elaborate structure, on the northern side. The outer walls of the monastery are formed by rows of cells that face inwards toward the main shrine in the centre of the courtyard. In the last building phases of the Monastery these cells, which formed the outer wall, totalled 177. The main central shrine has a cruciform ground plan and a terraced superstructure that rises in three terraces above ground level to a height of about 70 feet. The upper level is a massive rectangular central block which forms the central brick shaft. The intermediate terrace is a wide circumambulatory path which passes four main chapels or mandapas architectural plan, it is in fact a simple cruciform that has been elaborated with a series of projections at the re-entrants, a form that is copied at all levels on the main shrine. At the intermediate level there were originally two bands of terracotta plaques running around the full perimeter of the shrine, out of which half are still preserved in situ. The ground level today is 3 feet above the original pradakshinapatha or main circumambulatory path, below the base of the lowest band of terracotta plaques. Archaeological excavations have revealed a 15 feet pathway that follows an elaborated cruciform shape, a feature that can be discerned from the foundations of the outer wall that enclose the pathway and that still exist. At the base of the shrine, there are over 60 stone sculptures which depict a variety of Hindu divinities. The main entrance to the monastery was through a fortified gate on the northern access to the central temple. The majority of the ancillary buildings, such as the kitchen and the refectory, are located in the south-east corner, but there were also a few structures to be found in the north-east corner. Epigraphic records testify that the cultural and religious life of this great Vihara, were closely linked with the contemporary Buddhist centres of fame and history at Bohdgaya and Nalanda, many Buddhist treatises were completed at Paharpur, a centre where the Vajrayana trend of Mahayana Buddhism was practiced. Today, Paharpur is the most spectacular and magnificent monument in Bangladesh and the second largest single Buddhist monastery on south of the Himalayas. Criterion (i) : This monastery-city represents a unique artistic achievement. The symmetrical layout and massively built single unit of the monastery was perfectly adapted to its religious function. Its simple, harmonious lines and its profusion of carved decoration, in stone and terracotta, are important artistic masterpieces. Criterion (ii) : The striking architectural form introduced at Paharpur on a grand scale for the first time in Asia, profoundly influenced the subsequent construction of temples of Pagan in Myanmar and Loro-Jongrang and Chandi Sewer temples in central Java. It also continued to influence Buddhist architecture as far away as Cambodia. The craftsmanship of Paharpur terracotta still endures since the 8 th century A.D. in the whole of deltaic lands around. Criterion (vi) : Somapura Mahavihara, the Great Monastery evidences the rise of Maharaja Buddhism in Bengal from the 7 th century onwards. It became a renowned centre of Buddhist religion and culture during the royal Patronage of Pala Dynasty and was a renowned intellectual centre until the 17 th century. At present, only the archaeological boundaries have been established at the site, which could be regarded as the boundaries of the property. These boundaries include all required attributes to express its Outstanding Universal Value. However, the potential of mining activities in the vicinity of the property, as noted by the Committee at the time of inscription, highlights the urgency of establishing the boundaries of buffer zone for the property, which would need to take into account the natural environment surrounding the monument to maintain visual relationships between the architecture and the setting. Provisions for the management of the buffer zone need to be identified and implemented. Concerning to the material integrity of the property, the still uncovered part of the central shrine, as well as some terracotta plaques, are gradually deteriorating due to environmental element such as salinity and vegetal germination. This constitutes a threat to the physical integrity of the fabric and needs to be attended to. The authenticity of the property in terms of materials and substance and character has been compromised by interventions, including consolidation, substantial repair and reconstruction of the facial brickwork of the walls, which have prioritised presentation. In addition, the introduction of slat laden bricks and mortar as far back as in the conservation works of the 1930’s has further aggravated the situation. Vandalism, theft and increasing decay of some of the terracotta plaques have been the reasons for their removal from the main monument. The interventions can no longer be reversed so all future conservation and maintenance works shall focus mainly on the stabilisation of the monument to ensure that it is preserved in its present form. To ensure that authenticity is not further compromised, conservation policies need to be developed and implemented, to ensure that structural conservation meets current standards and promotes the use of traditional materials and local craftsmanship. The whole complex, perimeter along with lofty central shrine, lies within an area protected by the government and supervised regularly by the local office. National legislation includes the Antiquities Act (1968, amended ordinance in 1976), Immovable Antiquities Preservation Rules, the Conservation Manual (1922) and the Archaeological Works Code (1938). 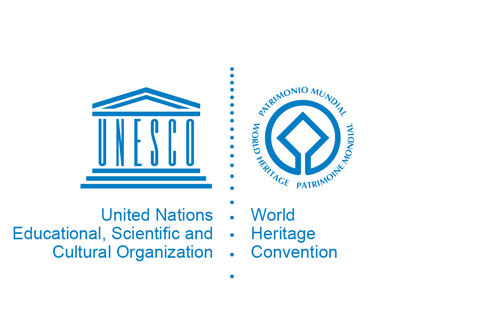 Management and conservation of the World Heritage property and other related monuments in the vicinity is the responsibility of the Department of Archaeology. Besides, for the regular maintenance of the site, the responsibilities of the site management is carried by an office of the custodian under the overall supervision of a regional director guided by director general of the Department of Archaeology, People´s Republic of Bangladesh. A comprehensive management plan including conservation policies and provisions for a buffer zone will be drafted under the project "South Asia Tourism Infrastructure Development Project- Bangladesh portion 2009-2014". Adequate human, financial and technical resources will need to be allocated for the sustained operation of the identified management system and for the continuous implementation of the conservation and maintenance plans so as to ensure the long term protection of the property.